The many introductions to the psalms available to readers tend to focus on various types and forms of psalms but overlook different theological approaches to the Psalter. This volume brings together leading psalms scholars from Catholic and Protestant traditions and takes into account recent scholarship on the shape and shaping of the Psalter and on the rhetorical interpretation of the Psalms. ^^Soundings in the Theology of Psalms is the second of several "Soundings" volumes to be published by Fortress Press. These volumes offer state-of-the-art essays introducing readers to the current state of discussion and debate on various segments of the Bible. 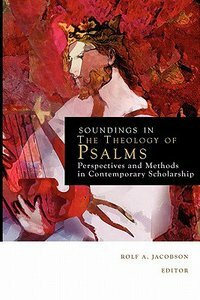 About "Soundings in the Theology of Psalms"